Home Blog How Can I Learn Japanese Kanji? What are Japanese Kanji; How can I learn Japanese Kanji? Kanji are Chinese characters that are used heavily in Japanese, usually to denote nouns, verbs, and stems of adjectives; Sometimes, Kanji are used to represent adverbs as well. With exception to children’s books and other simple writing, reading Kanji is a necessity to understand written Japanese. While Kanji is used for many words, there are exceptions. Some words, such as the verb that means “to be” are written exclusively in Hiragana. From the beginning, this guide will use Kanji, to force you to practice and learn how to read authentic Japanese script as quickly as possible. Our goal is to learn quickly and efficiently, and in the process, we’ll go over learning techniques and strategies. Mastering Kanji isn’t an easy feat, but the largest part of it is memorization; Work hard and diligently, and you’re sure to succeed. While you could theoretically learn Kanji through sheer memorization and constant practice, the more practical route is steady, long-term study. Rather than pouring in hours and hours, expecting to reach your goal in days, make sure to review a certain Kanji, or a set of Kanji a few times a day for several months. Don’t practice for hours until you get it right; practice for months until you’re never wrong. The need of time to come to grips with the information is why we use Kanji right away. Trying to learn Kanji all at once from the beginning would be immensely impractical, and it’s much easier and much more effective to divide the learning process into smaller, more manageable chunks. Beginning with simple vocabulary and the associated Kanji will let it settle into permanent memory. When it comes to the question of ‘ how to learn Japanese Kanji ‘, the answer is dedication, and a commitment to long-term results. While there are paid tutors and programs built for the person wanting to know ‘how can I learn Japanese Kanji‘, these aren’t expressly necessary. There are great, free resources available online that provide the means to learn Kanji on their own. Kanji diagrams for stroke order, and Kanji dictionaries are of special use. Careful attention paid to the stroke diagrams will show you the correct order and size of each Kanji, and with steady, long-term drilling practice you’ll learn how to do it right every time. Most characters have two different readings. One reading that originates with Chinese, and another reading unique to Japanese. Kanji that are drawn from a compound word, for instance, use a different reading from a single word. Specific characters, the most common Kanji, in particular, can have different versions of each reading. Some unusual compound words are even read in a totally unique way, with no relation to the reading of each individual character. Unique readings like these must be individually memorized, but there are relatively few of them. Some kanji are employed in both adjectives, verbs, and in lone characters. These words come with Okurigana, that is, multiple Kana, attached. The Okurigana displays that in spite of conjugation, that you don’t change the reading of the original Chinese character. Kana makes Kanji far easier to read! However, the sound of Kanji in a compound word can change for the sake of easier pronunciation. This often entails one sound switching to another, but not in a way that makes the word harder to understand. Kanji is quite interesting to learn because of the fact that sometimes, multiple characters can be close to synonyms and read in the same way, but employ different Kanji to add nuance and meaning. There are multiple Kanji that each refer to listening, but there is specific Kanji meaning to listen intently, as though listening to a professor, and to listen casually, such as to listen to music. Some Kanji might share a meaning with another, but one Kanji will have a second additional meaning – sort of like how the letter ‘k’ always makes the same sound, but the letter ‘c’ can make multiple sounds including that made by the letter ‘k.’ On occasion, the Kanji will not change and neither will the meaning, but they might be read in different ways. Any of them work, and the decision is based on intended tone, style, and preference. Interestingly, there’s one Kanji, the 々 that’s used to denote the previous Kanji repeats. This is a very useful Kanji, as it simplifies the process of writing by providing a simple, easily understood method to avoid having to rewrite the Kanji individually. While these are the fundamentals of Kanji, there are many more details and nuances to learn as you discover how to learn Japanese Kanji. While Kanji may seem complex, and indeed have the potential to be, practical, day to day words will often have a single Kanji associated with them; very few Kanji have more than two readings, so everyday Japanese isn’t so complex as you might think. Why Do The Japanese Learn Kanji? 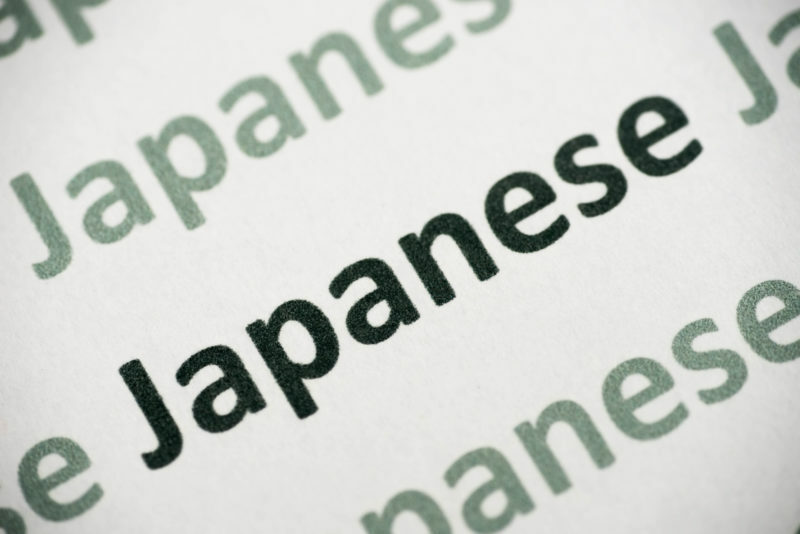 Some criticize the continued use of Kanji and complex Chinese characters instead of switching to Romaji or a simple alphabet. Alternatively, why not simplify the written language as Korea did? While this guide isn’t meant to debate the merits of Kanji, you must understand that learning Kanji is necessary to understand Japanese if you’re to follow through and succeed in learning. While switching to Romaji or simplifying Kanji does sound nice in theory, there are good reasons as to why the Japanese learn Kanji, and I believe that anyone who’s learned much Japanese would see the wishful thinking at the heart of proposals to convert to an alphabet. If you try to convert written Hiragana to Kanji, you’ll almost always find at least two different options, and sometimes as many as ten. Korean is a complex language with many different sounds, while the set of sounds in Japanese is comparably limited and avoiding homophones – words that sound the same and possess different meaning – is impossible. People read more quickly than they speak, and when writing the brain will use visual cues to understand the meaning without reading every letter. A phonic alphabet works for Korean and Latin languages, but Japanese needs the highly distinct, detailed Kanji to achieve the same effect and to portray written communication clearly, and with nuance and tone.